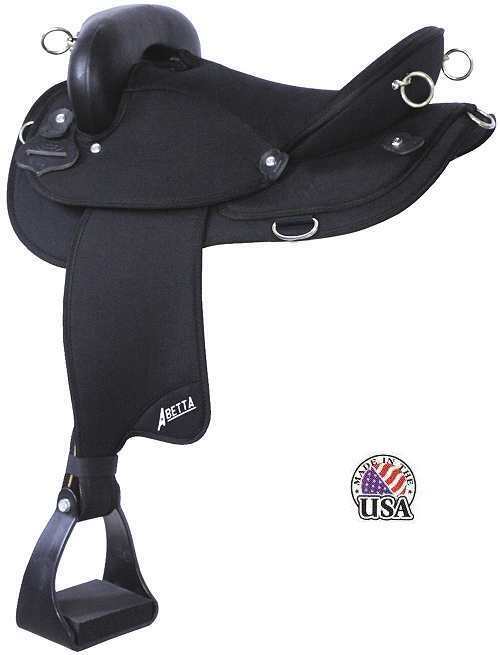 The Abetta Endurance is a trail rider's dream. Durable, lightweight, comfortable. Shock absorbing and weather resistant, this saddle is affordable and made in the USA. Built on a time proven design. Thick Saddle Fleece lining. These saddles are minor factory seconds with maybe a missed stitch.